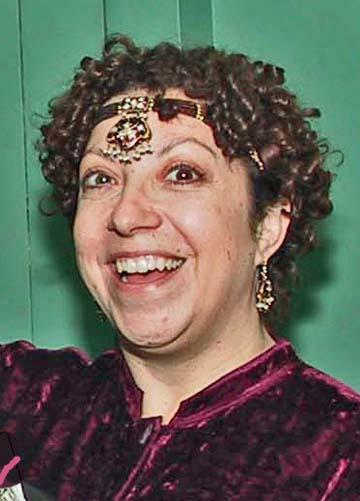 In 2003, New York Sherlockian Maribeau Briggs developed the idea of creating a society to teach Sherlock Holmes to young people. Briggs’ idea was overwhelming embraced by other Sherlockians as a means to support educational experiences which introduce young people to the Canon. The Beacon Society is a scion society of The Baker Street Irregulars (BSI), and serves as a link to other scion societies, providing educators with local resources to bring the magic of Sherlock Holmes to life in the classroom, library, museum, or theater. Members of the Beacon Society come from all over the U.S., with most of our members belonging to scion societies in their home areas. Ideas for using Sherlock Holmes as a teaching aid in classrooms, libraries, theaters, and museums. Head Light (Chairperson). Responsible for the overall leadership of the Society. Percy Phelps (Secretary). Responsible for maintaining minutes of all Board Meetings, for providing notification to the General Membership of meetings, and for correspondence as necessary. Bursar (Treasurer). Responsible for developing and reviewing fiscal procedures and annual budget with other Board members. Awards Committee. Receives nominations for the Susan Z. Diamond Beacon Award. Grants Committee. Receives proposals for the Jan Stauber Grant. Program Committee. Proposes to the Board and implements Beacon Society education related initiatives; reviews and makes recommendations on proposals for programs and initiatives; and screens contributions or submissions for the website." Communications Committee. Conducts outreach on Society activities and maintains the Society’s website. Fundraising Committee. Responsible for raising funds to support Society education-related initiatives and awards. Junior Sherlockian Committee. Oversees the Junior Sherlockian Society to introduce individual children and youth to Sherlock Holmes and recognize participants for their efforts.